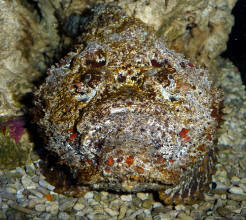 Synanceia horrida generally lives as a solitary fish, rarely being found grouped with other stonefish. Mating season is the one time of the year where groups of S. horrida seek out each other. 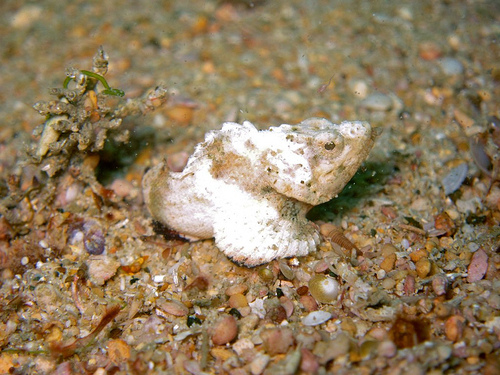 During the mating process the female stonefish will swim along the sea floor and lay her eggs, leaving behind a gelatin like layer of unfertilized eggs. The male stonefish then completes the simplistic mating ritual by swimming over the newly lain eggs and releasing his sperm over them.